Apple unveiled the iPad Air 2 and iPad Mini 3, iMac 5 with Retina 5K display, and a more powerful Mac Mini. Both iPad Air 2 and iPad Mini 3 features Touch ID technology to ensure unprecedented level of security. If you’re going to get your iPad Air 2 or iPad Mini 3 to play a huge number of multimedia sources, here are some tips you’d better to pay close attention to. Can't wait to put all of multimedia files to the new iPad Air 2 or iPad Mini 3? Hold your passion first. iPad Air 2 and iPad Mini 3 have limitations on audio and video playback. Before transferring media files to iPad Air 2 or iPad Mini 3, check what file types you can enjoy on the two amazing tablets. Before moving media files onto iPad Air 2 and iPad Mini 3, please know the above compatible audio and video formats well. 1. Can’t play common videos and audios on iPad Air 2 and iPad Mini 3? Some people may get confused about MP4 playback failure on iPad Air 2, iPad Mini 3, or other iDevices. Why video files in MP4, M4V or MOV cannot be recognized by an iPad, iPhone, or iTunes? There are detailed specifications on MP4, M4V and MOV playback with iPad Air 2 and iPad Mini 3. If the file format of your video is consistent with what iPad Air 2 and iPad Mini 3 specify, you should check the parameters like Mbps, fps, and kHz which are also of great importance. 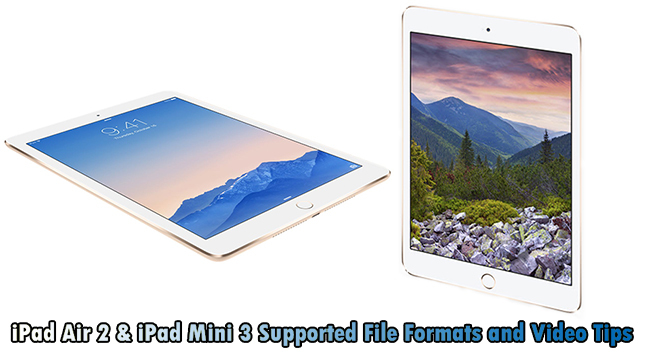 Want to get full enjoyment with iPad Air 2 and iPad Mini 3? It is time to take advantage of all of your media sources like Blu-rays, DVDs, camera recordings, and YouTube videos. 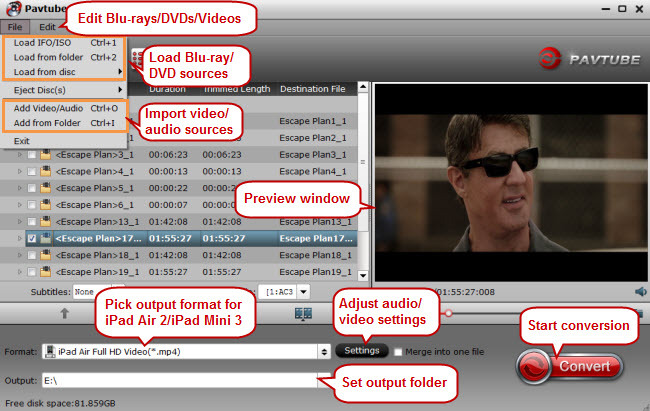 Though there is format incompatibility, the best way to overcome it is to adopt an iPad video converter. 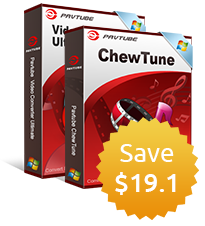 Pavtube Video Converter Ultimate (iMedia Converter for Mac) can deal with all those unsupported media files and convert them to iPad Air 2 and iPad Mini 3 with the astonishing features like fast conversion, video preview, rich editing function, file splitting and merging, etc.